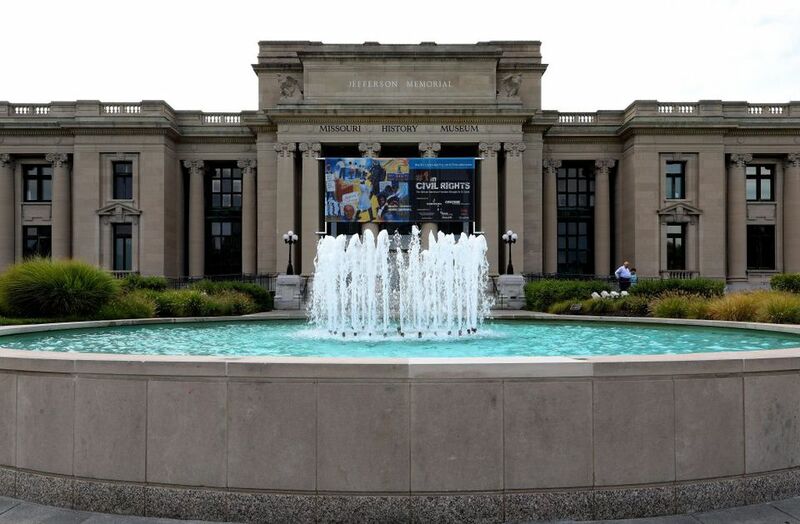 The Missouri History Museum is one of the more popular free attractions in St. Louis. But it isn't just the exhibits inside the museum that draw crowds. Every spring and fall, the museum hosts a free outdoor concert series featuring local musicians. Twilight Tuesdays are an affordable way to enjoy an evening out in St. Louis, and you get to watch the sunset from Forest Park in the bargain. Twilight Tuesday concerts are held each year in the spring, starting at the end of April or first of May, and in the fall, starting in late August or September. The concerts are held on the north lawn of the Missouri History Museum in Forest Park. Each performance begins at 6 p.m. and lasts for about two hours. Each concert series features a wide variety of music styles including jazz, rock 'n' roll, reggae, and country. Each Tuesday in May 2018 offers a different musical experience. Everyone is invited to bring picnic baskets or other food, along with blankets, lawn chairs, and small tables. You can also buy snacks or dinner and drinks from assorted food trucks at the concert. Dogs on leashes are also welcome. Alcoholic beverages are permitted, but glass bottles are not allowed. Seating on the front lawn is available on a first-come, first served basis. Restrooms are available inside the museum on all three floors. While many kids may enjoy the music and run around in the museum grounds, there are also special activities just for them. The Family Zone in the Grand Hall is open from 5:30 p.m. to 7:30 p.m. Museum staff keep children entertained with face-painting, a strolling magician, and a craft project to take home. Families are also invited to come early and enjoy the History Clubhouse exhibit before the concert begins. History Clubhouse is a special section of the museum just for kids. It features hands-on exhibits about important moments in St.
As with any popular event in Forest Park, finding a parking spot can be a challenge. There is some limited parking on Lindell Boulevard, but be careful and watch closely for "no parking" signs. In Forest Park, the parking lot near the Visitor's Center is only a short walk away. There's also plenty of parking at the Upper and Lower Muny lots, but that's a much longer walk. Another good option would be taking MetroLink to the Forest Park-DeBaliviere station, which is right across the street from the museum. You never quite know what St. Louis weather is going to be like in the spring or fall, so it's best to be prepared. If there is bad weather, the Twilight Tuesday concerts will be rescheduled.